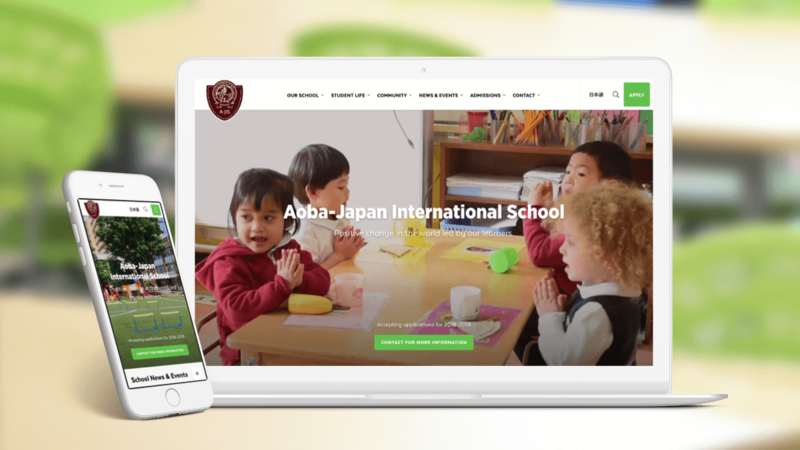 Aoba-Japan International School (A-JIS) is a leading pre-kindergarten to grade 12 coeducational school for internationally minded families residing in Tokyo. The school is accredited by the Council of International Schools and the New England Association of Schools and Colleges. 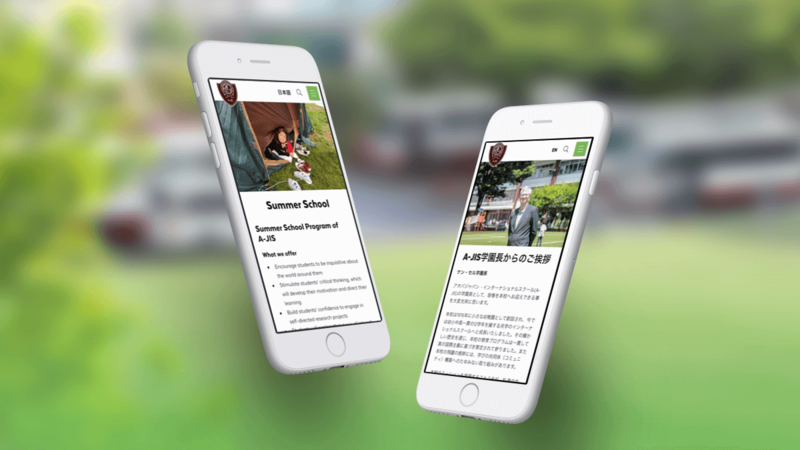 To respond to the increasing internationalization of Tokyo, A-JIS recognized that it needed to revamp its bilingual website to showcase the very best the school has to offer, with the view of maintaining its position as a top international school for expat families and globally minded Japanese families, and driving new admissions through the site. 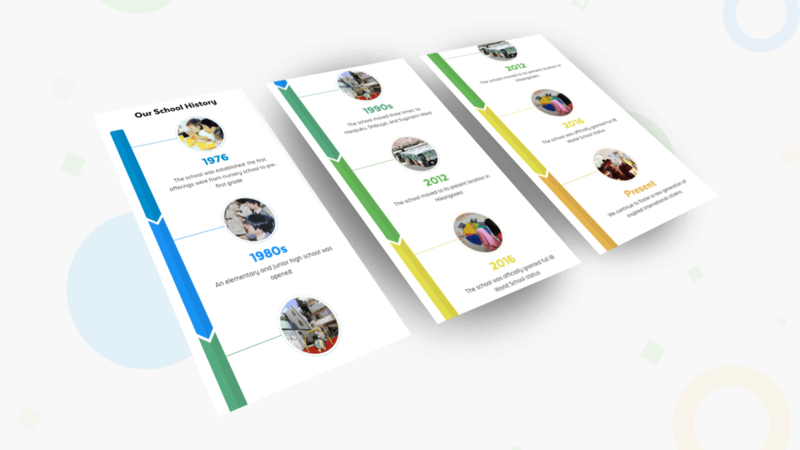 Part of A-JIS’s overall marketing strategy was the redesign of its website and Custom Media was selected due to our strong digital expertise, deep understanding of the foreign community, and awareness of the unique needs of parents with a global mindset. 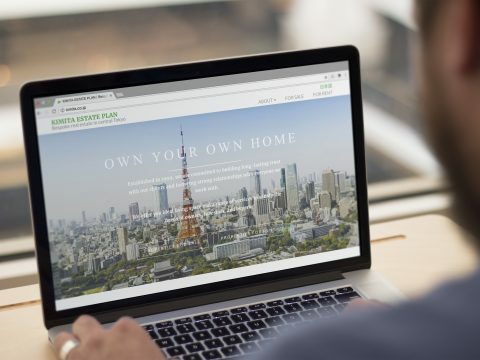 As an international school in Tokyo, having a strong online presence in both English and Japanese is essential. 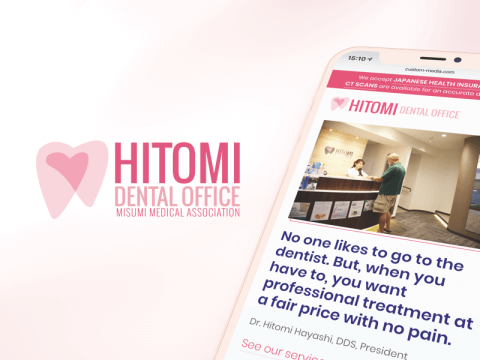 Not only was Custom Media able to provide us with a modern, feature-rich website, but their focus on the international market from a Japanese perspective has been invaluable. For us, Custom Media is more than a content creation agency: they are a trusted partner in helping us to grow our school’s digital brand. We consulted closely with A-JIS, finding out exactly what it needed to improve the overall look and feel of the website, while also making sure that it would be flexible enough to meet a diverse set of changing needs. We improved the structure of the website, making it easier to navigate. 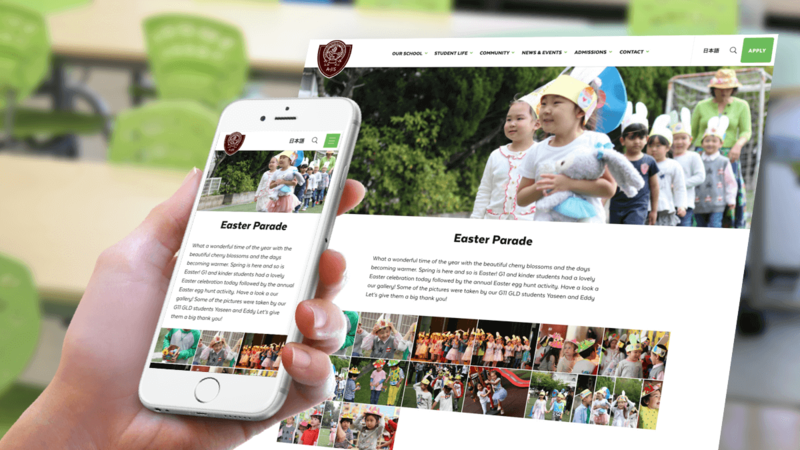 At the same time, we brought the website in line with modern web design trends: we made strong use of video and vivid images, and created lively, interactive galleries that can easily be updated by members of the school who are maintaining the site. We designed a colorful, interactive map that shows all of the school’s campuses in a single interface, allowing the parents of prospective students to see the school’s locations at a single glance. We created custom graphics for the site, a responsive timeline feature that can be updated by members of the school community, and modernized the school’s informative TV display, which allows students to stay up to date with important events on campus. Overall, Custom Media created a website for A-JIS that is modern, clean, concise and visually engaging. The bright color scheme is playful, and suits the website’s target audience—parents who are looking for a school for their children—perfectly. It is also informative and mobile- and user-friendly, with many custom features that enable stakeholders to easily keep content fresh and up to date, in keeping with the dynamic environment of an international school. Custom Media set up the site with WordPress, one of the world’s most widely used content management systems. We tailored a WordPress backend for A-JIS that provided just the customization that they required, from menus to landing pages. Custom Media also created a comprehensive manual and provided ongoing team training to help members of the school community maintain the site without outside help. This ensures that A-JIS will have a site that will look and work great for a long time to come.